The Poultry Paradox - in response to "The Plant Paradox"
There is a recent dietary fad being promoted by Dr. Steven Grundry regarding a low lectin diet. Normally, we don't specifically address the merits of diets, however, in this case he feels this diet should transcend all animal species that make up our diets. He caught our attention when he began to discuss the diets of "Pastured Poultry". In response to some of his inaccurate assertions that chickens are "insectivores" and therefore should only consume insects and grass we wanted to provide a less simplistic and more detailed response to a proper chicken diet and what they require to grow and be healthy. 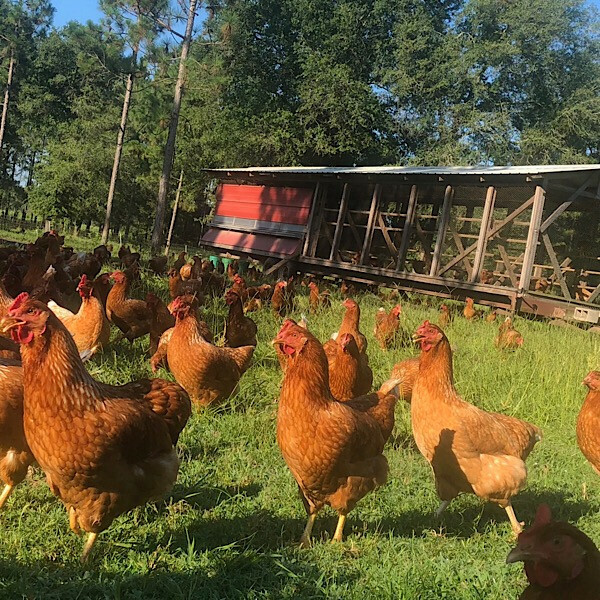 This information is important to consider especially if you are asking your pastured poultry producer for chickens raised by Grundy's recommendation. Pastured Poultry is all about movement. Except when it isn't - but we wanted to change that. Here I will consider the advantages and challenges with stationary, mobile, and field brooding. This post can also be found in the APPPA Grit issue 108. This is the no-weld 10' x 10' pastured hoop design using 1 3/8" top rail (chain link fence) for construction. This design is great for hot climates and can be hardened for cold climates within reason. 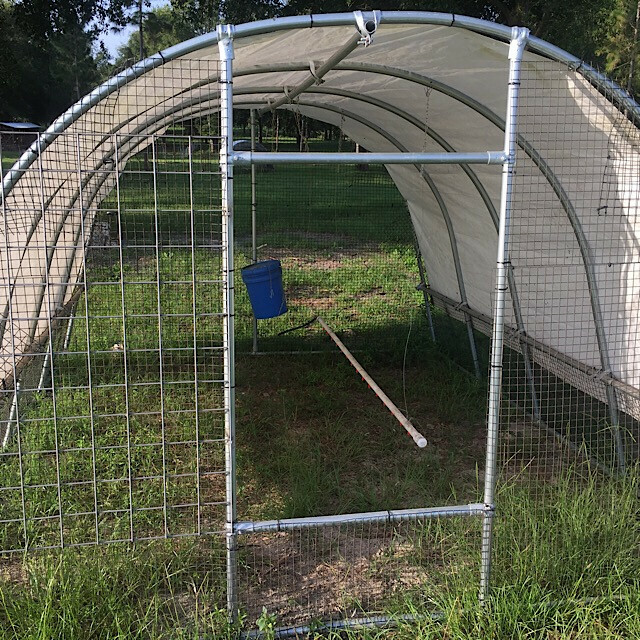 By popular request I have put together a guide for building the hanging hopper feeders we use in our pastured broiler shelters and layer coops. This design is very cost effective and in my opinion a low skill set requirement to build.